MEDIHONEY® Hydrocolloid Wound Paste 1.5oz 31515, with Active Leptospermum Honey, (ALH) is the global leading medical-grade honey-based product line for the management of wounds and burns. 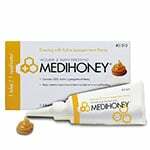 MEDIHONEY® Hydrocolloid Wound Paste 1.5oz 31515, with Active Leptospermum Honey, (ALH) is the global leading medical-grade honey-based product line for the management of wounds and burns. Derived from the Leptospermum species of tea tree, these unique dressings have properties that can be beneficial throughout all phases of the wound healing. 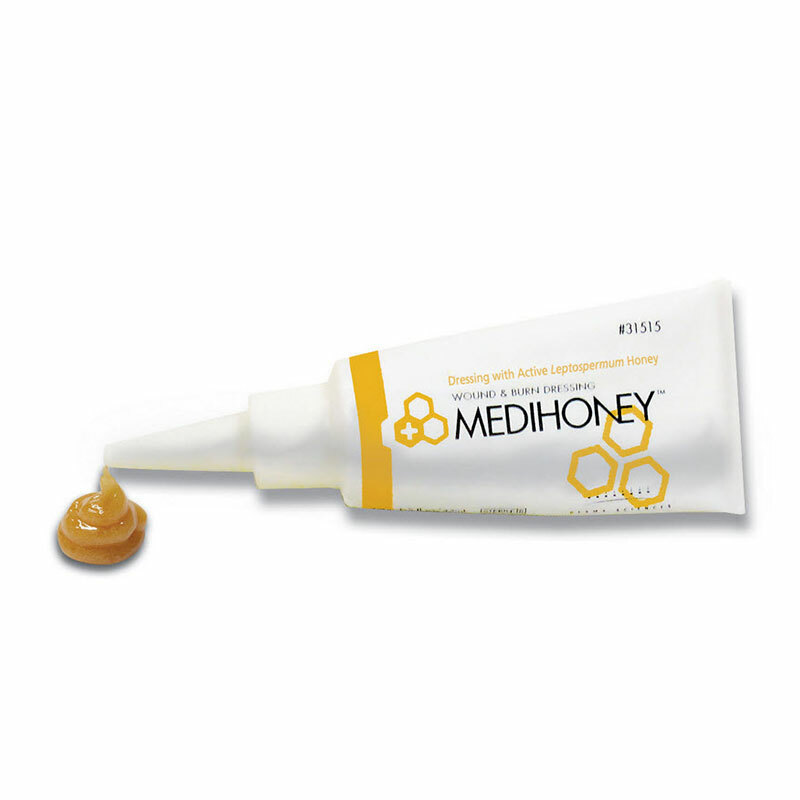 Due to its multiple mechanisms of action, MEDIHONEY® has become a first-line choice among many clinicians to help in the management of chronic and stalled wounds and to assist in safe and effective removal of necrotic tissue. Helps repair rough, dry skin in problem areas like elbows, knees and heels. Strengthens skins moisture barrier for soft, smooth skin. Provides a moist, occlusive environment conducive to optimal wound healing.